Hudson River Views In The Heart Of Historic River Town. Suite For 2. 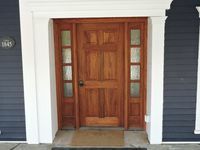 Property 7: Hudson River Views In The Heart Of Historic River Town. Suite For 2. 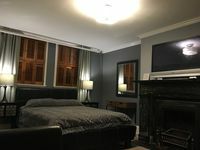 ✍Historic Loft Suite @ Downtown Albany w/ Parking! Property 21: ✍Historic Loft Suite @ Downtown Albany w/ Parking! Cozy apartment overlooking our small farm. Family Friendly. Property 22: Cozy apartment overlooking our small farm. Family Friendly. Cozy getaway overlooking the Hudson River! Property 23: Cozy getaway overlooking the Hudson River! Cozy comfortable and convenient apartment minutes away from Warren street. Property 33: Cozy comfortable and convenient apartment minutes away from Warren street. I highly recommend this place. Sue is friendly and helpful. The apartment is spacious, clean, and at walking distance from everything. I enjoyed my trip, thanks! My family and I had a wonderful stay! The apartment was the perfect size for our family of four. It has every amenity one can think of. Bill and Lynne were the perfect hosts. They made sure that we had everything that we needed and were accessible. The apartment is extremely comfortable. It was a very quick drive to Catamount. We plan to stay again.